Every time Samsung releases a new high-profile phone or tablet, it also makes a bunch of pricey first-party cases to go with it. And why not - they're high-margin accessories that get stocked by the likes of Best Buy and carrier stores, and most of the time they're actually pretty nice. 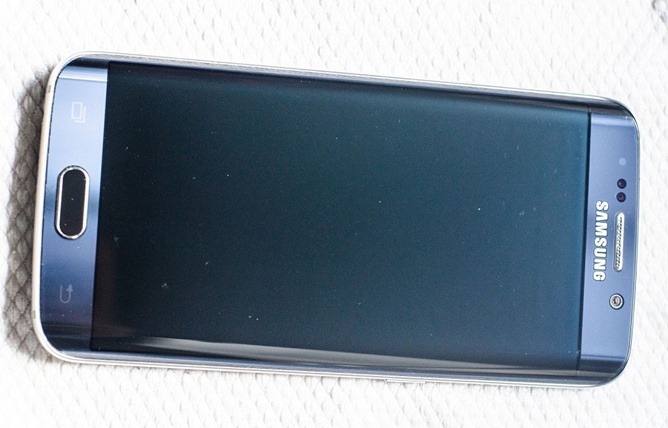 But the first round of official cases for the Galaxy S6 Edge are showing some remarkable problems: they might actually be damaging the gadgets they're designed to protect. We're talking about the "Clear View" series of cases in particular, which wrap around the back of the phones and cover the screen with a translucent piece of plastic, allowing the time and other information to shine through. 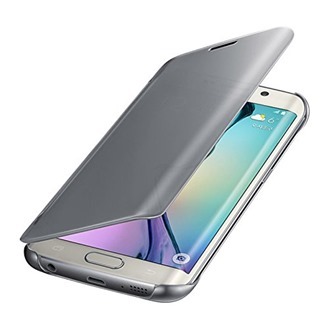 (These are also sometimes listed as "S-View Flip Covers.") 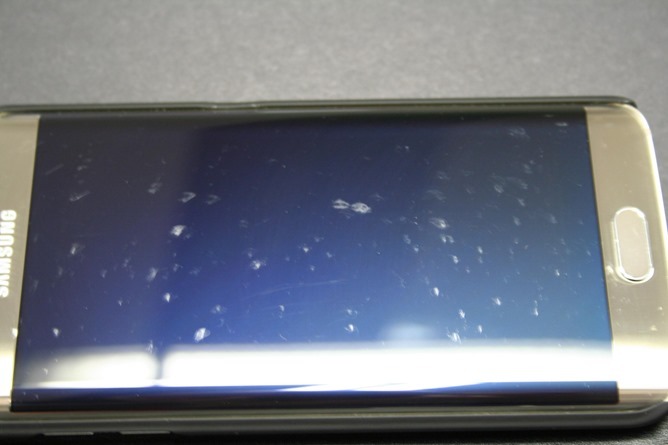 The $60 case is pretty snazzy, but multiple users on the XDA forum are reporting unsightly scratches on their screens after using the cases. 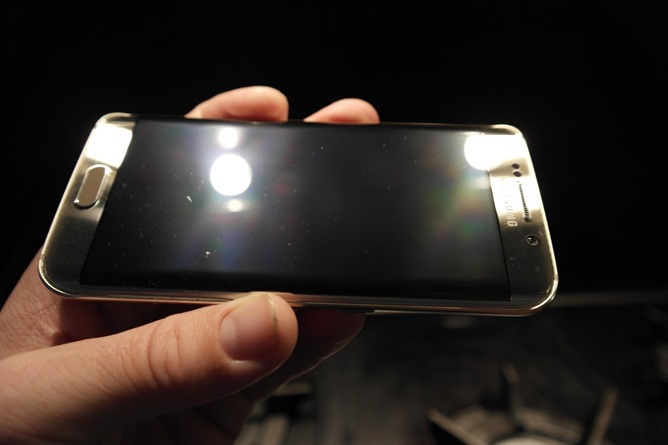 The photos are pretty damning, and also kind of impressive, since the Galaxy S6 series uses Gorilla Glass 4. Similar cases are available for the standard S6 without the curved screen, but they don't appear to be causing the same problems. 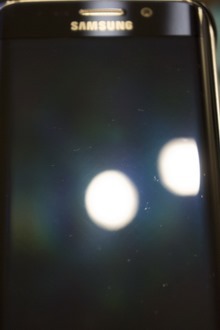 Photos on a user forum don't immediately mean that the cases are damaging phones, but it certainly doesn't look good. If the high price of the Clear View cases didn't steer you away from them, perhaps the experience of some of your fellow owners will. 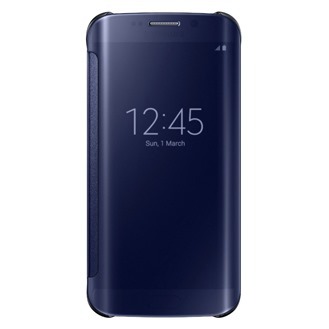 Tellingly, the full plastic Clear View cases seem to have disappeared from the official Samsung online store, while leather-style flip cases (with only a small screen window) are still being sold. The Clear View cases are still available for purchase on Amazon and other retailers. 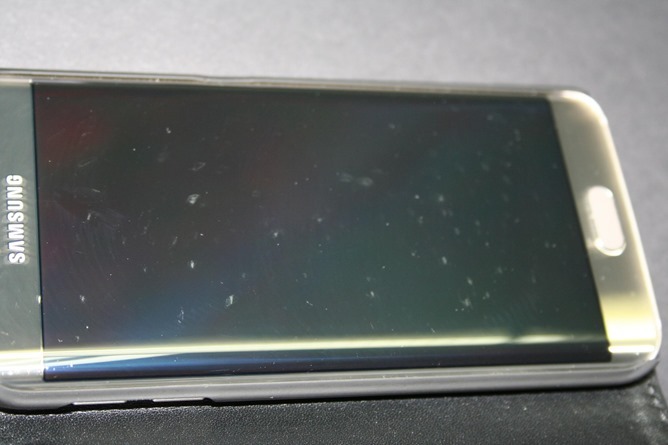 I'm guessing that some physical property of the curved S6 Edge screen and Samsung's case design is allowing dirt to get between the cover and the screen, where the hard plastic then digs the dirt into the coating of the glass as it opens and closes slightly in the user's pocket or purse. 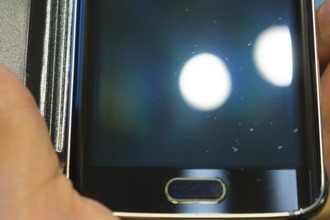 If you're experiencing similar problems with your new S6 Edge, contact Samsung to discuss a repair or replacement. Users are reporting mixed results, but the more people call or email for help, the more likely Samsung is to make an official reply.